Have you ever wondered about the meaning behind the symbols of Celtic art? What does the knotwork represent? Why do we see animals and birds, fish and dragons interwoven in some designs? What about the tree of life and the Celtic Cross? 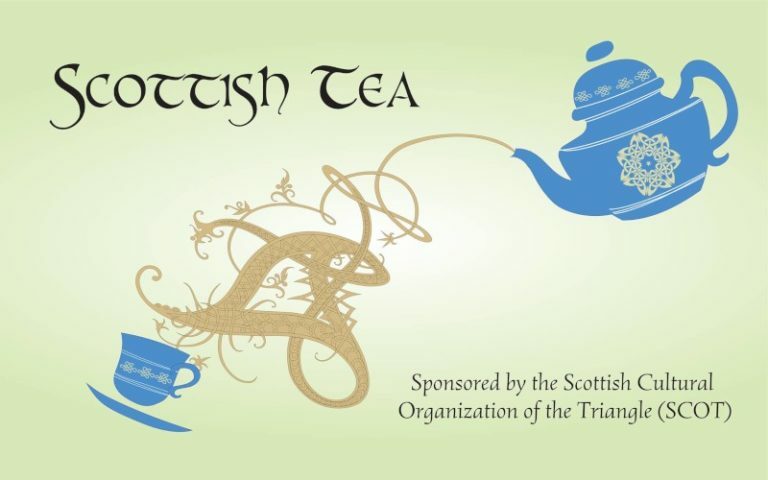 This year, SCOT’s annual Scottish Tea will feature a Celtic Art theme. Open to anyone, this early afternoon tea will be held on Saturday, June 1 in the Fellowship Hall Tea Room of West Raleigh Presbyterian Church from 1:00 to 3:00. We’ll be serving tasty tea sandwiches, traditional Scotch eggs, fresh summer fruit, scones, gingerbread, shortbread, and more, along with six kinds of steaming, freshly brewed teas to try. The church’s Arts Ministry has an exhibit of original Celtic art on display in the Fellowship Hall and some of those works will be incorporated into a short program on the history and symbolism of Celtic art. Saturday, June 11 – 3 p.m.